lashes. Lavender, Cedarwood and Rosemary are ALL wonderful for supporting normal hair growth. I know a lot of you ladies use Lavender in your mascara (Me included) but I don't wear mascara everyday. I might wear it once or twice a week. I wanted something I would use everyday. So I bought an empty mascara bottle and made my own serum to put on my lashes at night. Super easy! My only dilemma now is trying to find the bottle to put it on... My 16 year old steals it :) When in doubt search the teenagers room, right? A lot of my oily creations end up in her room. Hmmm... thinking she needs to learn how to make this stuff herself. Haha!! FYI: Be sure NOT to rub your eyes after putting it on. If you do happen to get some in your eyes, massage a carrier oil (I prefer coconut oil) over your eye. No harm done. DO NOT use water. Oil and water do not mix. Water will just spread the oil further. 2 drops Young Living Lavender Essential Oil (Find more info HERE) P.S. Lavender comes in the Premium Starter Kit! Then top off with Jojoba Oil. Be sure to leave room at the top as you will need to insert your mascara wand. You don't want it to overflow. 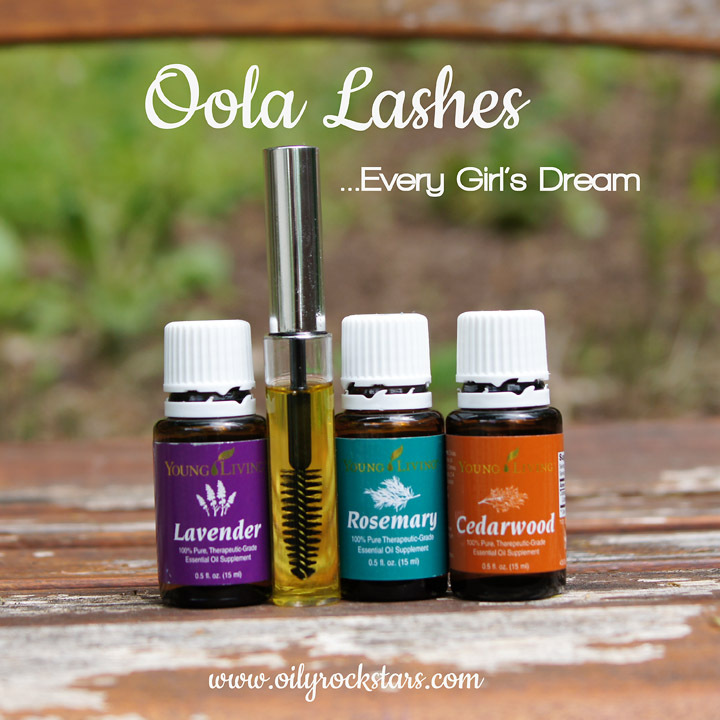 Want a FREE bottle of Oola Lashes?? Learn more HERE! Looking for a FABULOUS non-toxic mascara to show off your beautiful lashes?!! Here is our favorite... Beautycounter Lengthening Mascara. ✔️ It goes through a strict ingredient screening and testing process. ✔️ It's a light black, which means it can work with all skin tones and hair colors. ✔️ It's buildable! It goes on light for an everyday look, but you can build layers for a more dramatic look. ✔️ Really cool wand! The wand doesn't end up with all of this extra product that you have to scrape off and waste. ✔️ 4 Organic oils: pomegranate oil, acai oil, shea butter and cocoa butter condition our lashes, while we wear it. 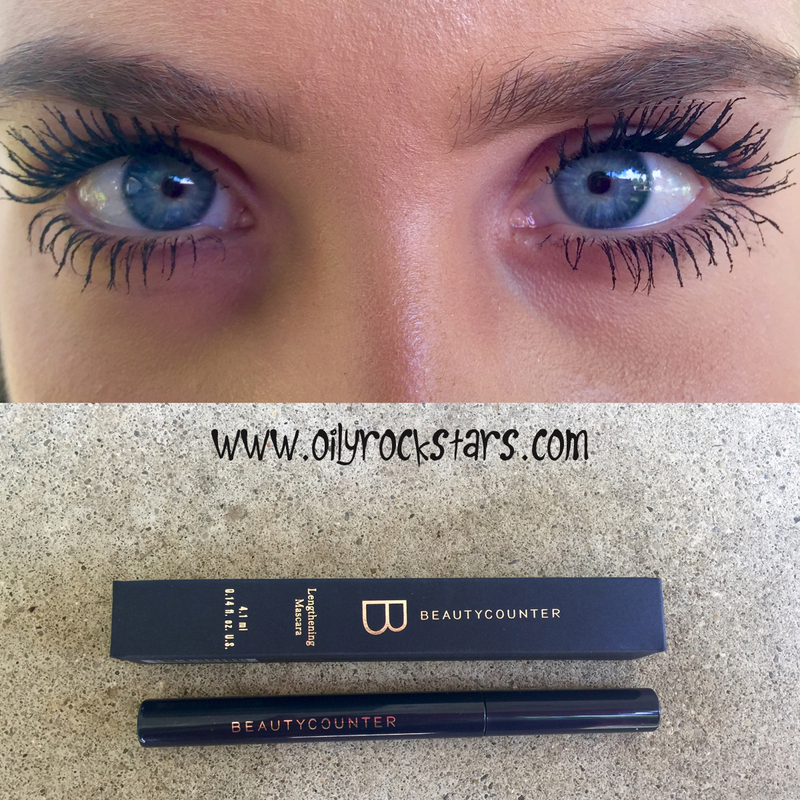 ✔️ It wears like a waterproof mascara but can easily be removed with coconut oil. I usually use grapeseed oil as a carrier. Do you think that would be okay instead of jojoba? Question - Shouldn't you use a glass bottle instead of plastic. Won't these oils break down the plastic? If you can find a glass one, go for it. I have not had any trouble with break down from the bottle or the lash wand. I do not reuse it once it's gone. I always buy new. What happens if you get it in your eyes? If you happen to get a bit in your eyes, just add some carrier oil to a washcloth and massage over the eye. My husband accidentally got Breathe Again in his eyes one time. The carrier oil pulled the EO right out and his eye. Any reason not to use the V6 oil from YLEO? 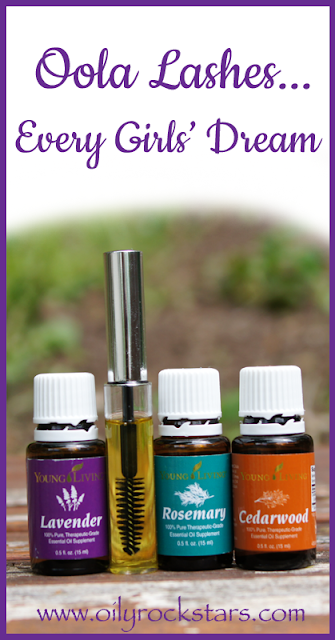 You could definitely use YLEO V6 if you would like. I just found jojoba oil to absorb the quickest.